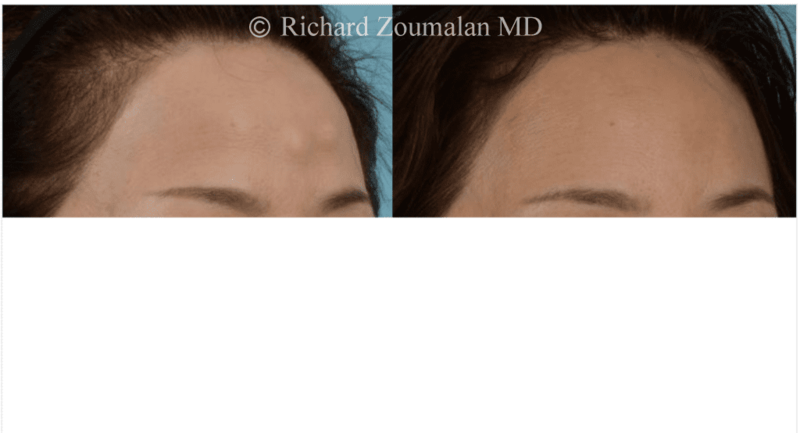 Osteomas are bony bumps that can grow on the forehead. They are benign and grow slowly. 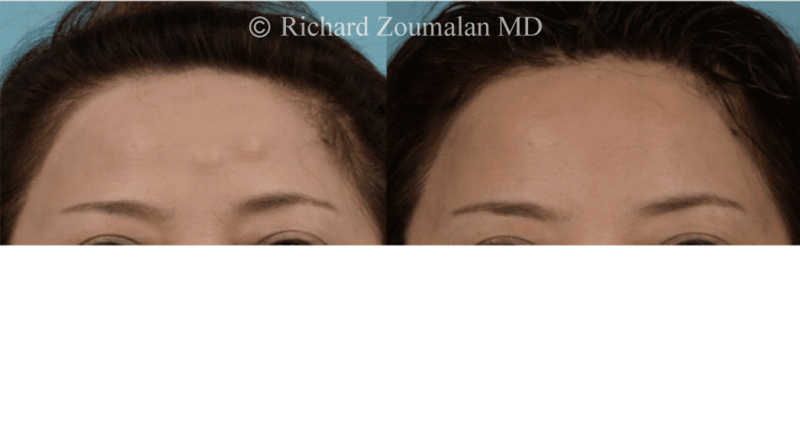 Often people first discover them as bony bumps on the forehead that don’t hurt or bother. 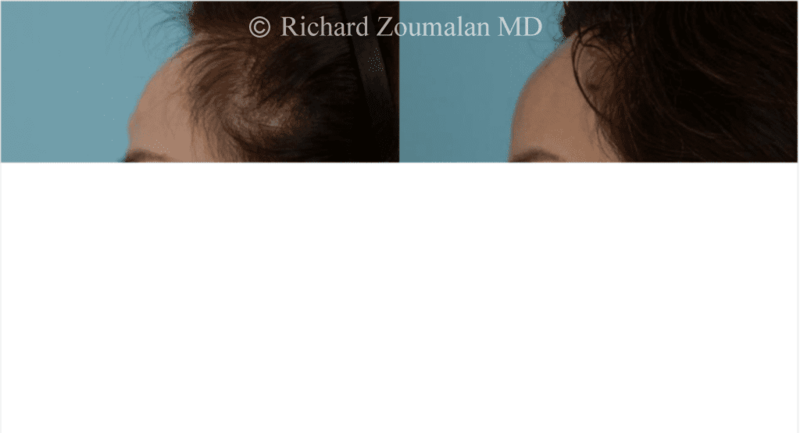 Dr. Zoumalan can remove these osteomas without any visible forehead incisions using an endoscopic approach which uses tiny cameras through tiny incisions in the scalp. These are hidden well and can be used to scrape away the bone on the forehead without cutting into skin on the actual forehead. There is very little downtime associated with this procedure. The procedure is outpatient. While it can be done under local anesthesia, Dr. Zoumalan prefers to use some sedation and do it in a controlled environment in the operating room. The procedure has a relatively painless recovery, and there is very little bruising or swelling associated with it. 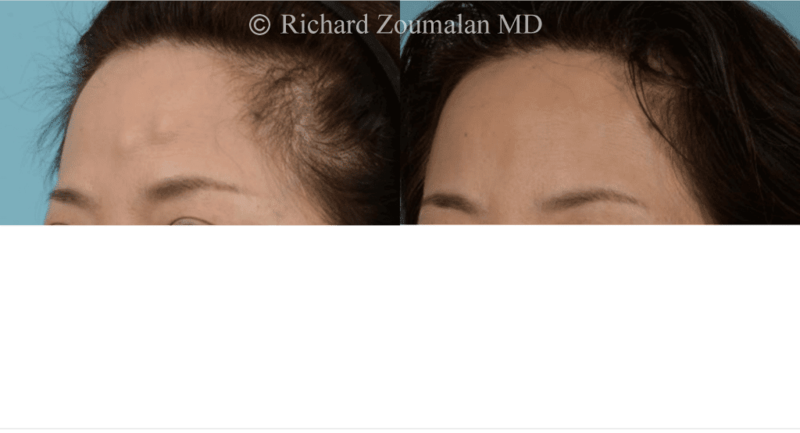 Dr. Zoumalan can even be creative men and receding hairlines to use areas that won’t show the incisions and therefore have no signs of surgery. 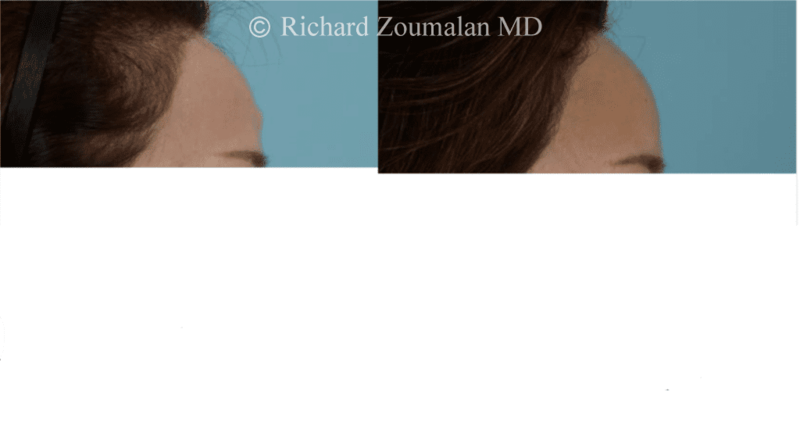 See the osteoma on the left side of the forehead. 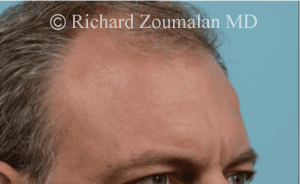 This can be removed without any visible external incisions, even on a man with this hairline.